Prodigal Bikes - Sending bikes to Africa - Registered Charity No. 1170845 > How can you help? If you would like to get involved, some things really help us. Please ask your friends, family and local community if they have any unwanted bikes they would like to donate. Get the bikes together, then drop us an E-mail to arrange collection. Remember, the bikes need to be capable of carrying teenagers and adults off road. We also need bike tools, bike spare parts (especially tyres) and rucksacks to pack the tools and spares in. Would you like to hold a fund raising event? 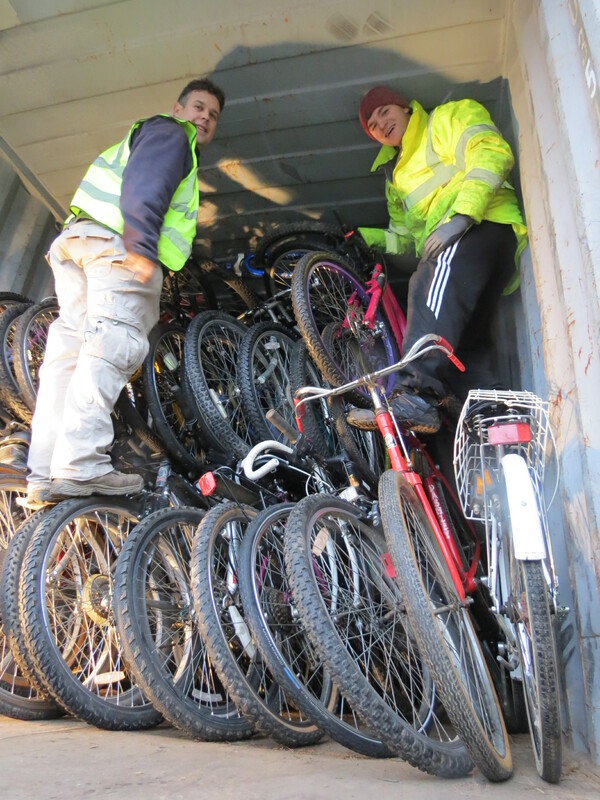 It costs us around £3000 to send a container full of bikes, tools and spares to Africa, so any donations are very greatly received. Or support our own events. Come along to our Africa Nights, Ride our Sponsored Rides, bring your friends along, share on social media – come join in the fun we have doing all this! If you'd like to get involved then get intouch with us using the link below.